Pack for a Purpose is delighted to welcome our newest volunteer, Glenna Gray. 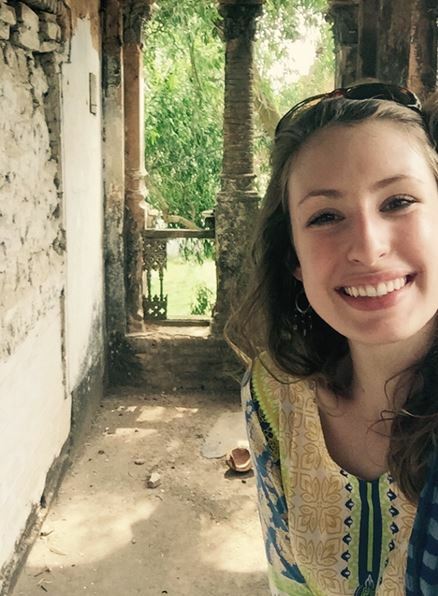 Glenna will be serving as our Study Abroad Outreach Coordinator. One of our major goals is to increase awareness in academic institutions of the opportunities they have to enrich student travel by having students Pack for a Purpose. I have been an avid traveler since I was very young, having accompanied my mother on archaeological digs and participating in student exchanges. I was fortunate enough to be able to study abroad in Italy, Switzerland, Greece, Turkey and England. In 2014, I graduated from Randolph College with a double major in Art History and French and a minor in International Relations, all of which allowed me to explore my love of other cultures and intercultural exchange. However, when I traveled to Bangladesh in 2015, my life was unalterably changed when I saw the effects of extreme poverty and deprivation. After my trip, I realized the power that travel has to transform perspectives, create lasting connections and effect change. I wanted to share my experiences with the world, so I started a Study Abroad blog, Culture Share, to provide a forum for travelers to debrief from their experiences and communicate with others. Through this process of unpacking my thoughts about service to others, I became inspired to start a local charity in my town, which services women released from prison. I am thrilled to have connected with Pack for a Purpose and to work for this fantastic mission in the capacity of Study Abroad Outreach. In the coming years I hope to pursue a Master’s Degree in International Higher Education; my goal is to get students involved in the communities to which they travel. Having previously worked in Higher Education and International Student Exchange, I plan to transfer the skills I gained in connecting with students to promote the mission of PfaP in the university context.